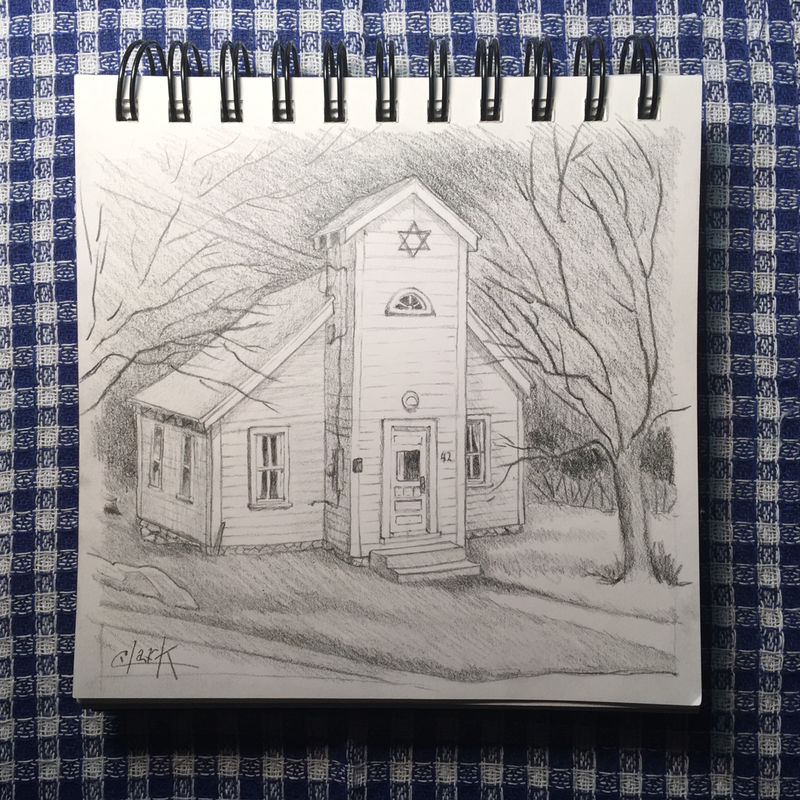 I have been unable to park or even find someone who will drop me off to do a winter painting of this Shul! So frustrating! So, I give up! This sketchbook drawing is from an attempt to park in someone’s driveway last spring. I love the history behind this building’s exsistance in this part of my world. Anshei Israel Synagogue is at 142 Newent Road in Lisbon Connecticut. It was built in 1936 by the first 15 members. There is absolutely no place to park on this busy winding road because during Shabbat, we walk. It’s no longer used. It’s beautifully restored as a historical location to mark our Jewish Heritage. Perhaps I am meant to not do a painting of it because it’s already a work of art by it’s sheer existence and survival in this town.